Now that World Cup 2018 is in full swing, it’s fair to say that the last La Liga season feels like a lifetime ago. Fans all over the world have become engrossed by the greatest show on Earth (well, who can blame them? ), and you’d be forgiven for pushing any thoughts of your club to the back of your mind. However, it’s impossible not to notice the impact some of La Liga’s top stars have been having on this summer’s tournament. Last season was absolutely massive for the likes of Antoine Griezmann, Lionel Messi and Cristiano Ronaldo, with each one of them winning their own respective pieces of silverware. But, with events in Russia really starting to hot up now, have these La Liga superstars been able to handle the heat? It’s been a bit of a strange World Cup for Antoine Griezmann. Tipped by many as a potential Golden Boot winner, the French forward hasn’t found the net since scoring a penalty in the opening game against Australia. On top of his poor form, Griezmann also made headlines just before the tournament- by releasing a short TV documentary to announce that he’s staying at Atletico Madrid. Yes, that actually happened. Whether that publicity stunt has caused a distraction is unclear. What is clear is that Griezmann will need to rediscover his La Liga form if he hopes to lead Les Bleus to their first World Cup triumph in 20 years. While Griezmann certainly hasn’t been terrible, it’s hard not to feel a little disappointed in his performances so far- especially when you see Harry Kane and Romelu Lukaku scoring for fun. Besides, he still hasn’t unleashed any of his Fortnite celebrations yet. If he doesn’t start performing soon, Griezmann could be the one to ‘take the L’ when it really matters. There’s no doubt that the new Argentina kits are incredibly underrated; however, the same can’t be said for their captain and football messiah, Lionel Messi. The Argentine magician is widely regarded as the greatest footballer to ever play the game, but it’s certainly taken him a little while to live up to that reputation in Russia. A disastrous opening game saw Messi miss a penalty as Argentina drew with Iceland, while he was essentially pocketed by Ivan Rakitic during their humiliating defeat to Croatia. This week, however, Messi has finally joined the party (even if, just for a moment, it seemed as though he was going to make a swift exit). Messi scored a beautiful goal against Nigeria to help his country through to the knockout round, while also buzzing with the same energy and agility we’re used to seeing from him on a weekly basis. Now looking much sharper, we can’t help but feel there’s a lot more to come from the Argentine this summer. His next opponents? France. Good luck, Lionel. There are just no words to describe Cristiano Ronaldo. 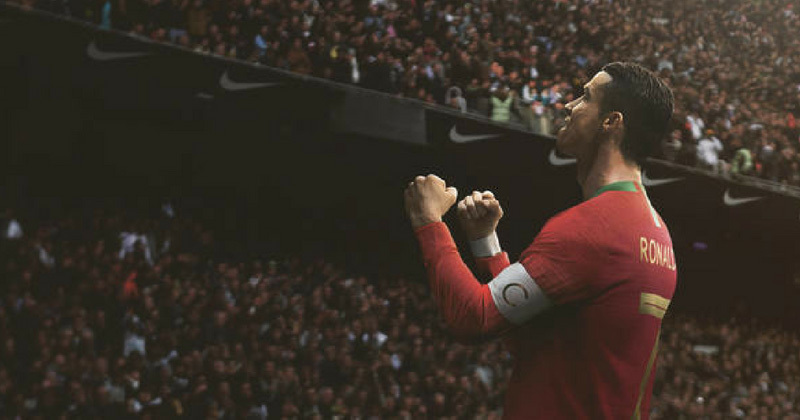 The most decorated player in football history has single-handedly dragged Portugal through to the knockout phase of the competition, with his stunning hat-trick against Spain leaving the whole world almost breathless. I mean, that freekick will be replayed on highlight reels for years to come. However, it hasn’t been all smooth sailing for Ronaldo since then. Okay, so he bagged an early goal against Morocco, but he’s since struggled to get on the ball and make much of an impact. A missed penalty against Iran led to an anxious finish, while the Portugal captain could have been sent off for an alleged elbow in the second half. There’s no doubt that Ronaldo is the best player in the world right now (sorry Lionel), but he’s going to have to rediscover his top form if Portugal are going to get past a strong Uruguay side this weekend. With big question marks still over his future at Real Madrid, we hope Ronnie isn’t getting side-tracked in the build-up to the most important stage of the tournament. This World Cup has been jam-packed with beautiful goals, stunning football kits and shock results; but now it’s time for these La Liga stars to really join the party and show us all why they’re considered the best in the world. If, like us, you’re itching for the new club season to get underway, then you can discover cheap La Liga kits at FOOTY.COM today. With just over a month to go, you can compare prices on Atletico, Barcelona and Real Madrid kits to gear up for the new season with some extra change left in your pocket.